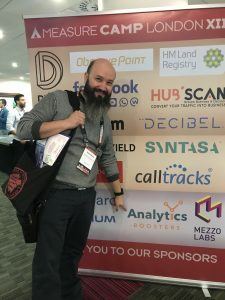 We are back from London where Saturday 22 we attended the 13th MeasureCamp, the free unconference created by Peter O’neill and focused on analytics and data. 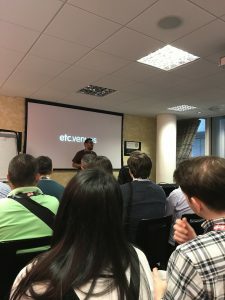 MeasureCamp has a particular format. 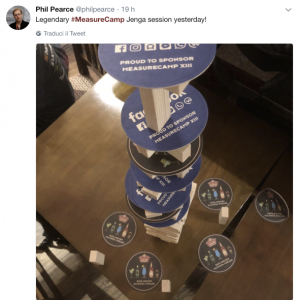 It’s free, that is you don’t have to pay for a ticket and it’s an unconference as anyone can give a talk. It’s held on Saturday so that you are there because you definitely planned to be there. We decided to actively take part sponsoring the event and even giving a talk. Why sponsoring? 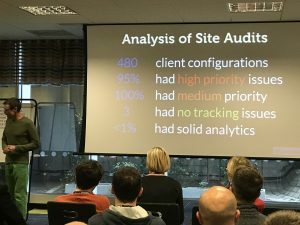 Because MeasureCamp promotes the same culture and values that are at the core of Analytics Boosters’ mission. They were so effectively recalled in the introductory speech dedicated to newbies held by Bhav Patel and that was particularly appreciated. Bhav explained what we should expect from the day. 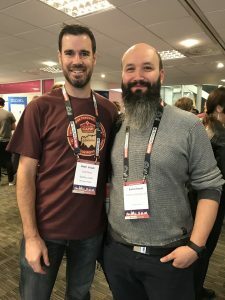 MeasureCamp deals with knowledge and sharing. Everyone thus can propose a talk, a presentation or a workshop. 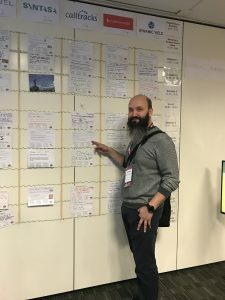 You only have to pin your card with a description of what you are going to talk about on a big wall board in the main room. 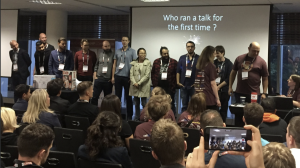 But MeasureCamp deals also with sharing ideas, experience, even failures, and it aims at growing a community. Bhav’s final advice? Be bold, share something! Do not go home with the regret of not making that question or not sharing that successful trick! We tried to follow his advice – well Enrico did 🙂 – and he pinned the card with a brief description of the contents. The talk was about using analytics standard and customised data for Conversion Rate Optimisation. Case histories and examples were also discussed. The experience of the talk was incredible! 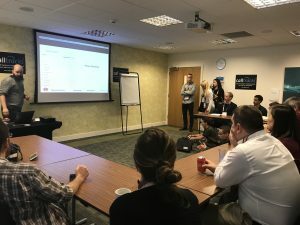 It was not a usual conference where the presenter talks and other people listen, but participant rised questions during the presentation and engaged in a conversation asking for more details. The feedback about the talk were of great appreciation and that makes us proud of our choice to share our experience. The rule of ‘Two Feet’ helps anybody to take the most out of the event. 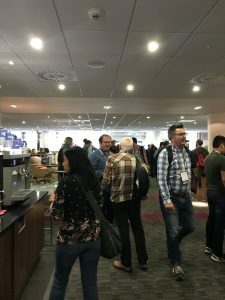 If you are listening to a speech and it’s not what you expected or the topic is too much advanced/technical or beginner level you can leave– as quitely as you can – and move to another room/session. Brilliant isn’t it? What we appreciate the most? First of all the level of the talks, with a special mention for the great Craig Sullivan and his ‘rap’ performance. The mood: relax and take it easy, wherever your a newbe or a guru you will find something good for you. The networking and the opportunity to meet smart people passionate about analytics. The incredible prizes to participants assigned randomly during the funny closing remarks. The delicious food and the afterparty in a traditional London Pub! Last but not least the perfect organisation and the team, so supportive and kind, let’s name Keely Jacobs, Bhav Patel and Ranyere Rodrigues, and of course Peter O’neill. Would we recommend the event? Absolutely yes! Anyone who is passionate about data and analytics should attend. 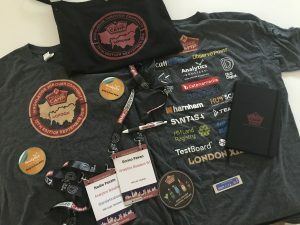 MeasureCamp is held in more than 20 cities around the world. Next stop for us Milan, Italy. Let’s meet you there!